My stack of books to review has been sitting here a while and I keep picking up books from it and then setting them back down and I couldn't figure out why. Then I realized ... it's because they're weird. 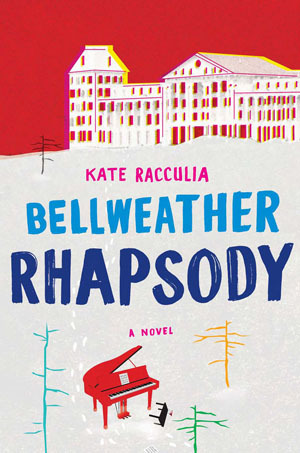 I got Bellweather Rhapsody by Kate Racculia from the library because Jenny raved about it. This book about high school musicians at a statewide event at a big old hotel (The Bellweather) who get snowed in was full of ups and downs. There was a suicide mystery and that was totally not the main point of the book at all. 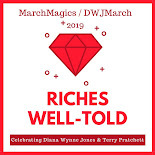 The point was all of the strange people that it skipped between -- the aged concierge, the twins (chorus and bassoon), the Scottish conductor that is missing fingers,and the music teacher/chaperone who is severely damaged because of the harridan mother/musician/teacher. All of the people were interesting but they were also just all so ... crazy. I had lots of feelings during the book but I can't figure out what exactly to say about them. Was the book good? Yes-ish. It was weird. 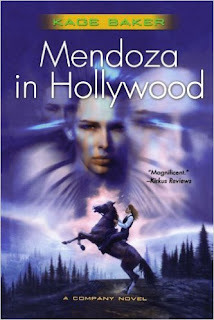 Mendoza in Hollywood is the third in Kage Baker's Company series. Mendoza is sent to the hills of what will eventually be Hollywood in a time before Los Angeles even exists. She stays in a roadside inn with a few other immortal cyborgs, one of whom is obsessed with early cinema. So, this story is really just a lot of California history and some very long passages where the group sits and watches a classic silent film and the reader gets a scene by scene walkthrough of it. Very little actually happens except for a weird time glitch that is pushed off to be explained at a later time. I did however love the California history as I am actually a 5th generation Californian and my great-great-grandfather was a main figure in making Los Angeles habitable. So, it was the history of a region that is literally in my blood. But there was the lack of actual story and the really LONG film parts, so this wasn't my favorite Company novel but I still liked it quite a bit. But, well, it was weird too. 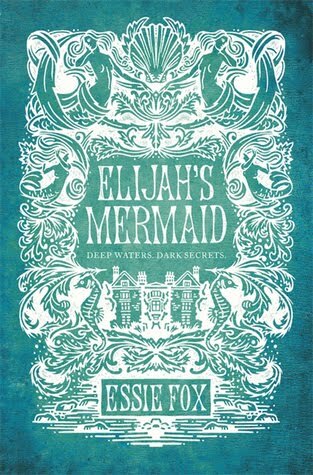 Elijah's Mermaid by Essie Fox has probably been sitting on my review pile the longest. I really liked Fox's first book The Somnambulist but this one didn't really work for me. It's got artists and prostitutes and families but they are all broken and creepy. 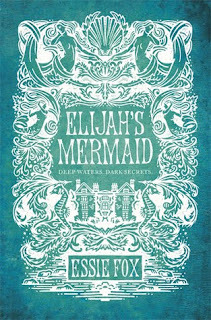 But if you liked The Crimson Petal and the White (which I didn't) you will probably like this one. I felt the same about both, that some parts were just too gratuitous for my tastes. And, well, some things in this book were just weird. And finally there is Penny Dora and the Wishing Box, a graphic novel for tweens. 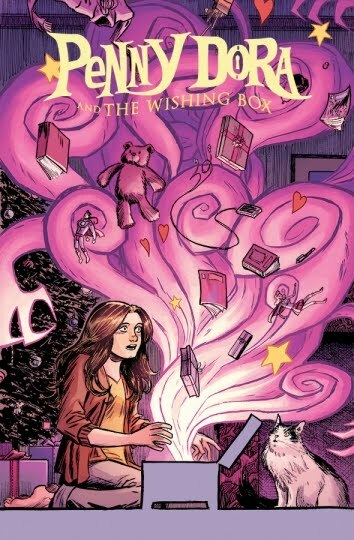 Penny finds a mysterious Christmas present left on her front porch and it turns out to be a box that grants wishes. Penny makes the mistake of showing it to her best friend and that horrid friend "borrows" it and goes all megalomaniac with it, eventually making Penny her servant. The friend was seriously awful, the art was sometimes, well, not good, and this story was not the magical tale I was expecting. It was super weird and negative. Is there a book sitting on your review stack that you just aren't sure how to review? I'm kinda thinking I need to get my hands on that Rhapsody one. Yeah, I like the California stuff in Mendoza too, though LA is *not* my area (well, my grandparents met there). I really liked Sky Coyote, because I grew up right next door. My mom was actually born in Hollywood. :) And Sky Coyote was fun too because I spent a summer in Monterey when I was in college! Hahahaha, I tried to prep everyone for the weirdness of Bellweather Rhapsody by comparing it to The Westing Game! Did that not work? The Westing Game's pretty weird too, right? Mendoza in Hollywood is maybe my least favorite of the Company books -- I'd have to reread to feel sure about that, but my memories of it are not fond ones. Luckily, things reeeeally start picking up in The Graveyard Game. The plot hella thickens. Spoilery response here, people. Look away if you're going to read Bellweather Rhapsody!! Lol, I was expecting weirdness but maybe not quite as much darkness. I mean the reveal that someone was someone else's father and all the stuff that went with that really broke my heart (not the good other dad reveal).